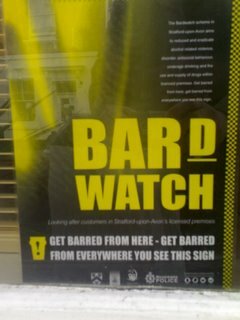 One thing you can't accuse Stratford-upon-Avon of doing is missing the opportunity to take advantage of its connections with Shakespeare... 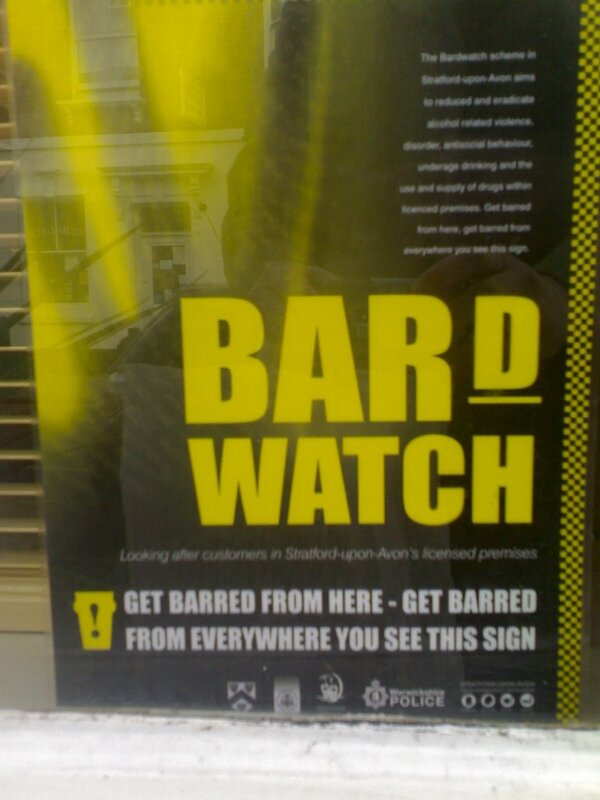 But I had to laugh when I saw the local pub landlords joining in by calling their Pub Watch scheme "Bard Watch". Very drole.